Several African Guyanese organisations on Friday lashed out at the East Indian-dominated People’s Progressive Party for submitting 18 mostly East Indian nominees for the post of Guyana Elections Commission in a bid to force President David Granger to select one of them. “The recent Constitutional appointment by His Excellency David Arthur Granger has publicly revealed what Africans in Guyana and the Caribbean all know, Indians do not want to be ruled by an African Leader because they believe they are superior to Africans,” the African Cultural and Development Association, Pan African Group (Guyana) Branch, The All African Guyanese Association and Concerned Citizens in the Diaspora said in a joint statement. Those Afro-centric organisations endorsed President Granger for courageously responding to Jagdeo’s strategy by following Guyana’s Constitution and exercising his constitutional Presidential prerogative. He has shown leadership in bringing closure to a PPP designed agenda to frustrate the appointment of a Chairperson for GEOCOM. He has signaled his intention to get on with the serious business of government. He has sent a clear message to international observers and investors that Guyana’s development and progress will not be impeded by the racist political and economic agenda of Jagdeo’s disgraceful PPP. Reacting to the joint statement issued through the African Business Roundtable, the PPP reminded that both Afro-Guyanese and Indo-Guyanese have been nominated by the Opposition Leader and leader of the Afro-Guyanese-based People’s National Congress Reform (PNCR). “While, government apologists attempt to make the issue of race, facts are forgotten, including that the Indo-Guyanese appointed as GECOM Chairpersons in the past were persons nominated by then President Desmond Hoyte. Another fact forgotten is that Mr. Rudy Collins, an Afro-Guyanese, who was appointed by Hoyte, was nominated by Dr Cheddi Jagan,” said the PPP which was in power from 1992 to 2015. In addition to stating that President Granger’s decision to unilaterally appoint Retired Justice James Patterson as GECOM Chairman represents a departure from, not only the Carter formula, but from a process that has been adhered to for 25 years, the PPP said the 18 names had included several fit and proper Afro-Guyanese. “The fact that there were qualified and competent Afro-Guyanese nominated by Opposition Leader, Bharrat Jagdeo, seems to have also been forgotten. 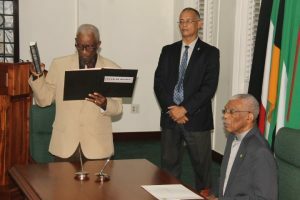 In an effort to divert attention from a breach of the Constitution to a race issue, the government and its apologists have, themselves, exposed their intentions to the Guyanese people – in that, the issue is not about having an Afro-Guyanese being the new GECOM Chairman, but about having a GECOM Chairman that is both Afro-Guyanese and pro-PNC,” the PPP said in its statement. The PPP has already filed High Court proceedings to quash James’ appointment because he was not picked from among the 18 nominees and that he appears to be closely linked to the PNCR, the largest partner in the governing coalition. For its part, the the African Cultural and Development Association, Pan African Group (Guyana) Branch, The All African Guyanese Association and Concerned Citizens in the Diaspora lampooned Jagdeo for engaging in an Indian insult of democracy, the spirit of the Constitution, Guyana and the Presidency when he on December 21, 2016, the names o Rhyaan Shah, Christopher Ram, Ramesh Dookhoo, Major-General (retired) Norman Mc Lean, Lawrence Lachmansingh and Professor Dr. James Rose. Politcal Science Professor, David Hinds has said that race and the need to find someone in whom there is political confidence appeared to be major considerations behind Granger’s pick of James. Those pro-Afro Guyanese organisations accused the the Private Sector Commission and its highly questionable network of business and civil affiliates of knowing and supporting by their silence the behavior of Bharrat Jagdeo who ruled Guyana unconstitutionally for 12 years. Others similarly criticised are the Guyana Human Rights Association (GRHA) “which has never championed land rights or equal rights for African Guyanese,” lawyers, accountants and so-called business persons. 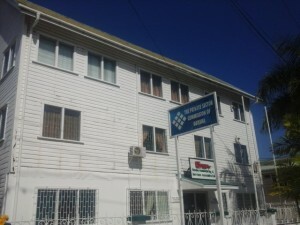 The PSC, GHRA, lawyers, accountants and businesspersons, the organisations charged, never said anything when Jagdeo allegedly unilaterally transferred hundreds of thousands of hectares of land to Indians in Guyana and from India and gave away lucrative licences, contracts and other state patrimony to Indians. “They hid their faces and remained silent when the UN investigators in 2009 announced the PPP marginalized Africans in Guyana economically, culturally, politically and socially. Their silence was conspicuously loud when Donald Ramotar prorogued parliament in 2015. In fact, they continue to be silent in the face of irrefutable and compelling evidence that Jagdeo is “not fit and proper” person to be in Parliament. 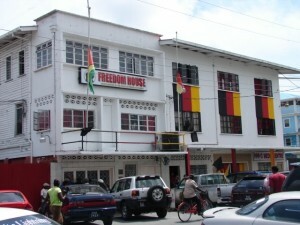 The African Cultural and Development Association, Pan African Group (Guyana) Branch, The All African Guyanese Association and Concerned Citizens in the Diaspora labelled as “the second opposition force in Guyana” those groups and persons that are critical of Granger’s appointment of Justice Patterson as GECOM Chairman. However, they said those entities and persons were not calling for an investigation into crimes against humanity just as the recent call by African organizations when the Working Expert Group on People of African Descent / United Nations Human Rights Committee group recently visited Guyana. The organisations dismissed fears that future elections would be rigged, saying those were the utterances of liars, cheats, scamps and racists. ACDA and the other organisations said critics of the Granger-led administration know that GECOM has seven votes with the governing and opposition parties having three each. They reminded that it was then Chief Elections Officer, Gocool Boodoo who had been implicated in the alleged rigging of an election. Saying that never again would Africans sit idly by and be marginalised see Guyana being run by international drugs and narcotics smugglers, the Afro-Guyanese organisations called on the international community to be vigilant against transnational crimes and racism. “The international community must never allow itself to be fooled again by the PPP at the expense of a racist and international narco-business agenda targeted against this Government and the long suffering people of Guyana,” they said. Further, they cautioned about the dangers another PPP-led administration would pose to Caribbean security. “In this state of heightened global terrorism and far reaching terrorist financial and other networks, the PPP can never be trusted ever again to administer the affairs of Guyana. That frightening proposition could threaten the peace, stability and security of the entire Caribbean Region,” the African Cultural and Development Association, Pan African Group (Guyana) Branch, The All African Guyanese Association and Concerned Citizens in the Diaspora.